JDM Concept is a web-based store that allows customer to collect their order. Kindly note that pick up is STRICTLY by appointment only. We do not operate as a retail store and there will be no browsing of parts at the premise. You will be advised via email of the pick-up street address and appointment will be scheduled once the order is ready to be collected. Order pick-up hours (subject to time slot availability) and it is first come first serve. Please note that all delivery will include insurance cover and tracking numbers. Tracking numbers will be provided once its on the way to you. - You will never ever need to deal with customs at all, so no messy paper work for you. We do all the dirty work for you. - All our prices is inclusive of GST and Duty that need to be paid. What you pay is the final cost. There will not be hidden charges. - All parts purchased comes with tax invoice. If you need one, please request a copy from us as we keep records of all our transactions. - Has not been discontinued in Japan. - We still can get stock from japan. JDM Concept always make every effort to ensure your item arrives on time and in good condition, unfortunately in rare occasion things can go wrong. That’s why we offer customers FREE insurance on all delivery, providing you with the peace of mind. The insurance cover delivery from Japan all the way to your door step. An ATL (Authority to Leave) is given in the event of the receiver not being at the premise to sign for the consignment. It allows couriers to leave your package without obtaining a signature. PLEASE NOTE, when you have selected the ATL option your order is no longer covered by Insurance. These terms and conditions apply to the use of this website including the purchase of products over this website. In using this website for theses or any other purposes, you accept these terms and conditions. If you do not accept these terms and conditions, you must refrain from using this website. These terms and conditions must be read in conjunction with any other applicable terms and conditions governing the use of this website. In these terms and conditions, “we” “us” and “our” refers to JDM Concept Pty Ltd. (ACN 43 120 929 713). The information is intended for residents of Australia only. information relating to our collection, storage and use of the details you provide on registration. 1.2 You agree to ensure that your registration details are true and accurate at all times and you undertake to update your registration details from time to time when they change. 1.3 On registration, you will be required to provide a password. On registration you agree to pay for our services as set out on our website. 1.4 We reserve the right to terminate your registration at any time if you breach these terms and conditions. 1.5 Our services are intended to be used by registered users within Australia only. 2.1 Our services are provided to adults over the age of eighteen (18) years. By proceeding to purchase through our website, you acknowledge that you are over 18 years of age. 2.2 All prices are in Australian Dollars (AUD) and are inclusive of GST. We endeavour to ensure that our price list is current. Our price list can be accessed from our home page and we reserve the right to amend our prices at any time. If you have placed an order, we reserve the right to cancel your order should our prices change. 3.1 We strive to ensure that our products are described as accurately as possible on our website; however we do not warrant that the description is accurate. Where we become aware of any misdescription, we reserve the right to correct any error or omission. given image will reflect or portray the full design or options relating to that product. country as we are not be able to give you any advice on this issue. products. Kindly seek advice from licensed mechanics or professionals before purchasing and installing any parts. places any responsibility on us. wheel, the wheel can be damaged. - If an exception is made and there will be 30% re-stocking fee for a refund or exchange of any parts sold. The cost of reselling of 30% restocking fee is a reasonable assessment of our costs in reselling the products. 5.2 If you are eligible for a refund under Australian Consumer Law or other applicable consumer protection laws or regulations in the regions in which we operate, you will need to return the product to us first. The refund will be made to the original method of payment. 5.3 It is your responsibility to read packaging before you break the packaging to use the products. If you break the packaging and you wish to return the products then this will affect your ability to return the products to us. 5.4 We undertake to replace you for any products delivered to you that are faulty or are in a damaged condition. If you wish to return a faulty or damaged product, you must notify us through our designated email (sales@jdmconcept.com.au) where we set out our requirements relating to return of such products. 5.5 If we are unable at the time of return to replace or exchange returned products, we undertake to reimburse your account for the amount initially debited for the purchase excluding packaging and postage charges. 5.6 Returns are not accepted for any incorrectly delivered products with the packaging already opened, or the contents tampered with or already been installed. It must be “as new” condition. 5.7 After notifying us of defective or damaged products please return all faulty parts within 10 days after notifying us. 6.1 If you have placed a deposit on a product, please make payment for the remaining balance within 30 days after we inform you that they are ready for collection. If you do not, then unless you make arrangements with us for late collection, we will assume you have cancelled your order. This means we have the right to re-sell the Goods and you will forfeit any deposit or payment you have made. 7.1 Where a product has been listed at the incorrect price or with incorrect descriptive information or image due to typographical error or similar oversight, we reserve the right to cancel a transaction. We will immediately refund your payment for the total amount debited. 8.1 Where a product has been special ordered, it is not possible to cancel after if there has been a delay caused by the manufacturers, longer handling time in Japan or unforeseen circumstances. 9.1 You may offer to purchase products described on this website for the price specified on this website. All prices are in Australian dollars (AUD) and GST inclusive. 9.2 Your order must contain your name, email address, mobile telephone numbers and any other ordering information on this website. 9.3 It is also your responsibility to provide the correct delivery address and be available when delivery is being made; you will need to pay for any costs incurred for re-posting or redirection as a result of incorrect information provided or unsuccessful delivery attempt. 9.4 Within seven days of receipt of your order, we will at our discretion accept or reject your offer to purchase. 9.5 You may not cancel an order, once it has been submitted, even if our acceptance or rejection of your offer is still pending. 9.6 We are not required to give reasons for rejecting your offer to purchase. 9.7 If we reject your offer to purchase the products for any reason, neither of us will be under any further liability to the other arising out of your original offer or our non acceptance of that offer. 9.8 If you have not responded to you within seven days, your offer will be deemed to be rejected. 9.9 We give no undertaking as to availability of products advertised on this website. 9.10 Delivery of the products to you will be affected in the manner described on this website. 9.11 Title to the products does not pass to you until payment has been received and the products have been delivered to you. 9.12 Risk of loss or damage to the products passes to you upon delivery to you by us or by courier. 9.13 Current prices listed on website include import costs, import duty and GST. If you want to collect products in Sydney then you may at nominated Site by us free of any additional charges. 9.14 Packaging and postage is an additional charge payable by you at time of purchase, and is calculated at time of purchase. 9.15 Any information you supply to us we undertake to take due care with this information; however in providing us with such information you accept that we are not liable for its misuse due to error in transmission or virus or malware. 10.1 Please follow up your order once the order has been dispatched. Please kindly inform us immediately if you have not received the order within the average delivery time. 10.2 If the products are collected from us at a nominated place for collection then we will give you a reasonable opportunity to examine the products in our presents and you must satisfy yourself that the products are not defective or damaged in any way and once the it left the warehouse building, it is acknowledged the products are fit for purpose, are not defective or damaged in anyway. 10.3 If the products are delivered by third party then you must acknowledge receipt of the products by signing delivery document presented by third party. 10.3 You must inspect the products within 24 hours of the third party delivering the products to you. Both parties acknowledge 24 hours is a reasonable time to inspect the products to see if the products are not defective or damaged. 10.5 If the products are defective or damaged you must contact us by e-mail and advise us of the defective or damage parts of the products in detail and if necessary sending photographs within 48 eight hours of carrying out your inspection of the products. 10.6 Should any incorrect parts be sent to you, we will be happy to send the correct item free of charge after incorrect parts have been returned in the original condition and packaging. 10.7 Any fees incurred for re-sending the incorrect part back will be fully reimbursed after a copy of the postage receipt has been forwarded to us. 10.8 DO NOT sign anything (ie receipts, PDA) if products are defective or damaged. 10.9 Delivery of your ordered product will be as set out on our website. Title in the products passes to you when we deliver the products to you. 10.10 All risk of loss or damage to the products passes to you when we deliver the products to you. 11.1 When you visit our website, we give you a limited licence to access and use our information for personal use. 11.2 You are permitted to download a copy of the information on this website to your computer for your personal use only provided that you do not delete or change any copyright symbol, trade mark or other proprietary notice. Your use of our content in any other way infringes our intellectual property rights. 11.3 Except as permitted under the Copyright Act 1968 (Cth), you are not permitted to copy, reproduce, republish, distribute or display any of the information on this website without our prior written permission. 11.4 The licence to access and use the information on our website does not include the right to use any data mining robots or other extraction tools. The licence also does not permit you to metatag or mirror our website without our prior written permission. We reserve the right to serve you with notice if we become aware of your metatag or mirroring of our website. 12.1 This website may from time to time contain hyperlinks to other websites. Such links are provided for convenience only and we take no responsibility for the content and maintenance of or privacy compliance by any linked website. Any hyperlink on our website to another website does not imply our endorsement, support, or sponsorship of the operator of that website nor of the information and/or products which they provide. 12.2 You may link our website without our consent. Any such linking will be entirely your responsibility and at your expense. By linking, you must not alter any of our website's contents including any intellectual property notices and you must not frame or reformat any of our pages, files, images, text or other materials. 13.1 The copyright to all content on this website including applets, graphics, images layouts and text belongs to us or we have a licence to use those materials. 13.3 Any comment, feedback, idea or suggestion (called “Comments”) which you provide to us through this website becomes our property. If in future we use your Comments in promoting our website or in any other way, we will not be liable for any similarities which may appear from such use. Furthermore, you agree that we are entitled to use your Comments for any commercial or non-commercial purpose without compensation to you or to any other person who has transmitted your Comments. 13.4 If you provide us with Comments, you acknowledge that you are responsible for the content of such material including its legality, originality and copyright. 14.1 Whilst we have taken all due care in providing the information on our website, we do not provide any warranty either express or implied including without limitation warranties of title or implied warranties of merchantability or fitness for a particular purpose. 14.2 To the extent permitted by law, any condition or warranty which would otherwise be implied into these terms and conditions is excluded. 14.3 We also take all due care in ensuring that our website is free of any virus, worm, Trojan horse and/or malware, however we are not responsible for any damage to your computer system which arises in connection with your use of our website or any linked website. 15.1 Our products come with guarantees that cannot be excluded under the Australian Consumer Law. You are entitled to a replacement or refund for a major failure and compensation for any other reasonably foreseeable loss or damage. You are also entitled to have the products repaired or replaced if the products fail to be of acceptable quality and the failure does not amount to a major failure. These guarantees only apply to the first user of the products. 15.2 All parts sold are covered by manufacturer warranties and subject to the product standards detailed by the manufacturer. 15.3 On discovery of any defect in the parts, you must immediately notify us in writing of such defect. You must not carry out any remedial work to alleged defective parts without first obtaining approval from us to do so. 15.4 We will only accept a warranty return if it installed by licensed mechanics or professionals. Invoice of installation must be produced when claiming warranties. The warranties will void if the parts have been mishandled, misuse, incorrectly installed, installed by non-license mechanics or professionals including a DIY [Do-It-Yourself] jobs. 15.5 Schedule 2 of the Competition and Consumer Act 2010 (“C&C Act”) defines a consumer. Under the C&C Act we are a supplier of either products or services or both to you, and as a consumer the C&C Act gives you statutory guarantees. e. Wholly or partly recompense you if they are defective. 15.7 As a consumer under the C&C Act you may be entitled to receive from us notices under Schedule 2 section 103 of the C&C Act. may result in the loss of the data. h. If we are a repairer and our practice is to supply refurbished products as an alternative to repairing your defective products or to use refurbished parts in the repair, then we give you notice that the products presented by you to us for repair may be replaced by refurbished products of the same type rather than being repaired. We also give you notice that we may use in the repair of your products, refurbished parts. i. To the full extent permitted by law, our liability for breach of an implied warranty or condition is limited to the supply of the services again or payment of the costs of having those services supplied again. j. We accept no liability for any loss whatsoever including consequential loss suffered by you arising from services we have supplied. k. We do not accept liability for anything contained in the post of a user or in any form of communication which originates with a user and not with Us. l. We do not participate in any way in the transactions between our users. 17.1 By accessing our website, you agree to indemnify and hold us harmless from all claims, actions, damages, costs and expenses including legal fees arising from or in connection with your use of our website. 18.1 If a Force Majeure event causing delay continues for more than 30, we may terminate this Agreement by giving at least 7 Notice to you. “Force Majeure” means any act, circumstance or omission over which we could not reasonably have exercised control. 19.1 These terms and conditions are to be governed by and construed in accordance with the laws of NSW and any claim made by either party against the other which in any way arises out of these terms and conditions will be heard in NSW and you agree to submit to the jurisdiction of those Courts. 19.2 If any provision in these terms and conditions is invalid under any law the provision will be limited, narrowed, construed or altered as necessary to render it valid but only to the extent necessary to achieve such validity. If necessary the invalid provision will be deleted from these terms and conditions and the remaining provisions will remain in full force and effect. 20.1 We undertake to take all due care with any information which you may provide to us when accessing our website. However we do not warrant and cannot ensure the security of any information which you may provide to us. Information you transmit to us is entirely at your own risk although we undertake to take reasonable steps to preserve such information in a secure manner. JDM Concept is committed to providing quality services to you and this policy outlines our ongoing obligations to you in respect of how we manage your Personal Information. This Personal Information is obtained in many ways including email, via our website www.jdmconcept.com.au and from third parties. We don’t guarantee website links or policy of authorised third parties. JDM Concept will not charge any fee for your access request but may charge an administrative fee for providing a copy of your Personal Information. SSR15 15% 31-12-2019 All SSR Wheels 1 Piece wheel such GTF, GTV and GTX models, etc. SSR20 20% 31-12-2019 All SSR Wheels 2 / 3 Piece wheel. WORK10 10% 31-12-2019 All Work Wheels 1 Piece wheel such as Emotion / GT5 / MCO Racing, etc. WORK15 15% 31-12-2019 All Work Wheels 2 / 3 Piece wheel. 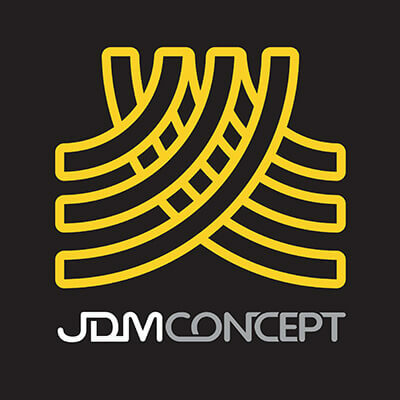 NOTE: The word 'We' and 'Us' refer to JDM Concept Pty Ltd. 'The website' refer to www.jdmconcept.com.au. The word 'you' and 'your' refer to the user of the website or purchaser of the parts. Prices are correct at the time of order and, prior to making a deposit or full payment, are subject to change without notice. Our prices are no more to pay pick up in Sydney and inclusive of all associated importing costs into Australia including Import Duty and GST. However they do not include delivery and handling cost within Australia. We reserved the right to amend any errors published on the website. Orders are to be paid using Australian dollar only. Payment must be paid within 2 days of placing the order. If deposit or full payment is not received within this period, JDM Concept has the right to cancel your order. Deposit paid is not refundable and will be forfeited upon non-collection of order after the order is in our hand and not collected within 21 days. Order will not be processed until deposit or full payment has been received. Kindly seek advice from your local authorities on the legality of the use of these parts on the public roads or highways in your state or country as we are not be able to give you any advice on this issue. We are not a licensed garage and shall not be held responsible for advice given to the user or any outcome resulting from installing any products. Kindly seek advice from licensed mechanics or professionals before purchasing and installing any parts. You will be solely responsible for any legal costs, safety issues or damages incurred as a result of purchasing and using parts sold by us. Photographs are for illustrative purposes only and may vary from goods depicted or described. We endeavour to give accurate delivery estimate for all our parts sold on the website. You will be given the opportunity to cancel the order and the deposit or full payment refunded if we are aware of the delay before the order has been placed with the manufacturer. However we cannot cancel the order after it has been placed and the cause are factors beyond our control such as delay from manufacturers, longer handling time in Japan or unforeseen circumstances that we are not aware of. Special consideration will be given to parts that are advertised 'in stock now' and no longer correct, then you will be given an option to continue with the order or have your order cancelled and your deposit or full payment fully refunded. Please follow up your order once the order has been dispatched. Please kindly inform us immediately if you have not received the order within the average delivery time. It is also your responsibility to provide the correct delivery address and be available when delivery is being made; you will need to pay for any costs incurred for re-posting or re-redirection as a result of incorrect information provided or unsuccessful delivery attempt. Should any incorrect parts be sent to you, we will be happy to send the correct item free of charge after incorrect parts have been returned in the original condition and packaging. Any fees incurred for re-sending the incorrect part back will be fully reimbursed after a copy of the postage receipt has been forwarded to us. Please ensure that you inspect your order as soon as it has arrived and DO NOT sign anything if goods are damaged. Once signed, it is assumed by the courier provider that the item has been received in good condition. If item is damaged, please inform us within 12 hours as claim must be made within 24 hours in most cases. All parts sold are covered by manufacturer warranties and subject to the product standards detailed by the manufacturer. On discovery of any defect in the parts, you must immediately notify us in writing of such defect. You must not carry out any remedial work to alleged defective parts without first obtaining approval from us to do so. We will only accept a warranty return if it installed by licensed mechanics or professionals. Invoice of installation must be produced when claiming warranties. The warranties will void if the parts have been mishandled, misuse, incorrectly installed, installed by non-license mechanics or professionals including a DIY [Do-It-Yourself] jobs. We do not accept claims of refunds or exchanges of products sold unless it is our fault however we are not obliged to give you an exchange or refund if you change your mind after the purchase. If the parts you buy from us is faulty, we will offer you a repair, exchange or refund according to our warranty policy. Returns are not accepted for any incorrectly delivered product with its packaging already opened, or its contents tampered with or already been installed. If an exception is made and there will be 30% re-stocking fee for a refund or exchange of any parts sold. Please return all faulty parts within 10 days after notifying us. We will assume you are happy to accept the conditions of your order if we do not hear from you after 10 days from making the claim. Join our newsletter to get Exclusive Contents. JDM Concept 2002 - 2019. All Rights Reserved.